Every PIC® MCU Device is equipped with many different hardware peripherals which simplify system implementation. With the MPLAB® Code Configurator to help produce peripheral initialization software, you can quickly design and configure application source code. Having a complete understanding of the latest peripherals available and details on their functional use is very helpful. 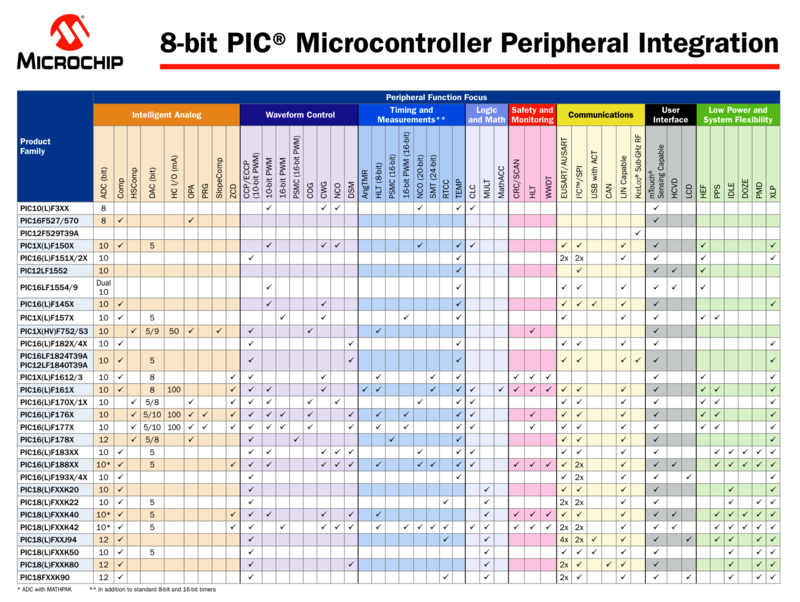 Below is a table of peripherals available on the latest 8-bit PIC® MCU devices, followed by an alphabetical list of links to the pages that describe these peripherals in detail.